The new C.P. Goerz Citograph 35mm f/8 "always-in-focus" lens I mentioned a few days ago is now officially launched on Kickstarter. The "always-in-focus" means that everything from 9 feet in front of them to infinity will be in focus. (Berlin) C.P. Goerz, a new German startup, announced a Kickstarter campaign today for the Citograph 35mm, a super-compact, always-in-focus tessar-type lens that may very well revolutionize street photography. The Citograph 35 was designed specifically for capturing those fleeting, decisive moments that are gone in the flash of an eye. With no moving parts and 35mm focal length, the Citograph’s design is beautifully simple. The lens design includes a specially-coated “disc aperture” equivalent to f/8. One of the thinnest lenses in the world, the Citiograph is so discreet it is virtually invisible on your camera and thin enough that it can slip into your pocket when detached. The Citograph 35 will allow photographers to shoot from the hip knowing that everything from 9 feet in front of them to infinity will be in focus. The hyper-focal technology of the lens will allow photographers to take shots of fast moving subjects without a moment’s hesitation. The lens is the passion project of Benedikt Hartmann, a 20-year veteran of the German camera industry. The idea was to develop a high quality, high resolution lens that was also easy to use. Hartmann is driven by the mission to make photography simple, while still delivering professional-quality results. 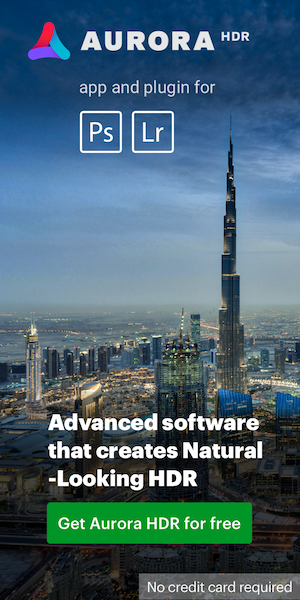 Recently, Hartmann and a group of investors created C.P. Goerz to bring the idea to life. The Kickstarter campaign will help raise the needed capital to bring the lens into production. To keep costs down, Hartmann has received proposals from qualified production facilities in Asia and southern Europe. C.P. Goerz takes its name from one of the most renowned German lens makers of the early 20th Century. The original C.P. Goerz company worked closely with Zeiss and in 1926 merged with Zeiss Ikon. The Goerz spirit of innovation carries on with the Citograph. The Citograph 35 will be available in mounts for Nikon, Canon, Sony E, Fuji, MFT, Pentax, Leica M. It is expected to go on the market in Spring 2018 with a retail price of $549 USD. This entry was posted in C.P. Goerz and tagged C.P. 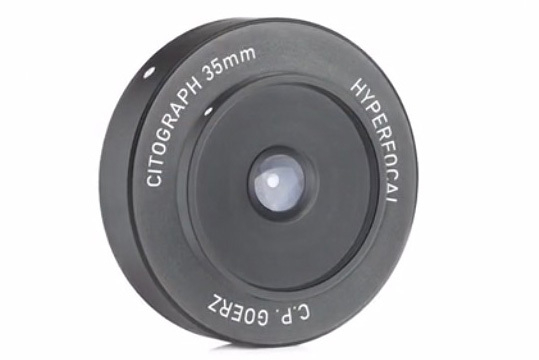 Goerz Citograph 35mm f/8 lens, Kickstarter. Bookmark the permalink. Trackbacks are closed, but you can post a comment.